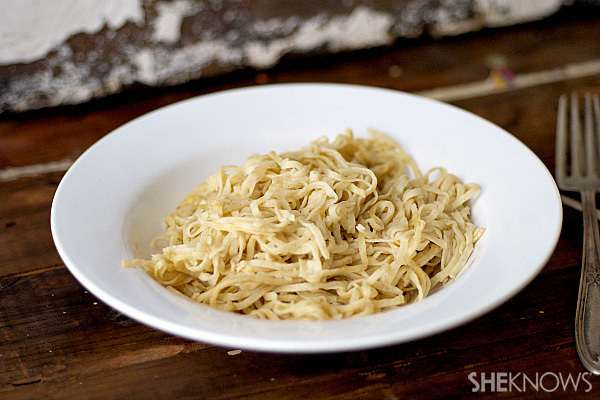 If those store-bought gluten-free pastas just aren’t doing it for you, learn how easy it is to make your own at home. One of my best friends has a gluten allergy, and the one thing she tells me she misses more than anything is good pasta. Sadly, many GF pastas out there are spongy or frail and fall apart before you even take a bite. That’s why I decided to make my own gluten-free pasta at home and put it to the ultimate test — her! I was terrified the pasta dough wouldn’t hold up or, worse, she’d say it tastes just like the rest of them. To our surprise, the dough went through the machine like a boss and each bite tasted “how pasta should taste,” according to my friend. If you have gluten-free friends or are trying to limit your wheat intake, make this pasta. You’ll never know it’s gluten-free, trust me! Place the flour in a food processor and pulse to break it up. 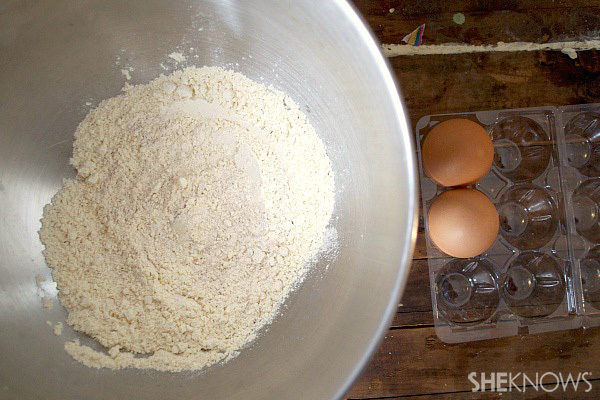 Pour the flour into a large bowl and make a well in the center. 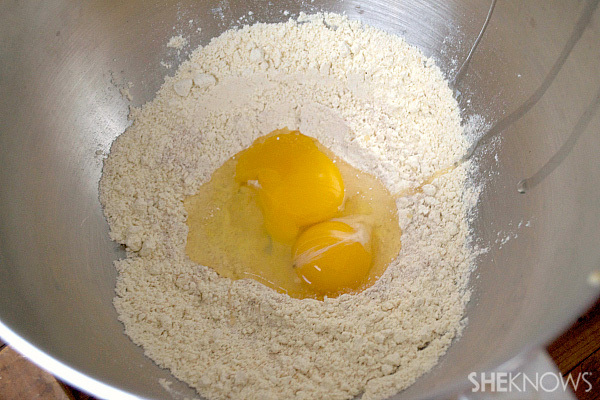 Place the eggs, egg yolks, salt and oil in the center and stir to combine. 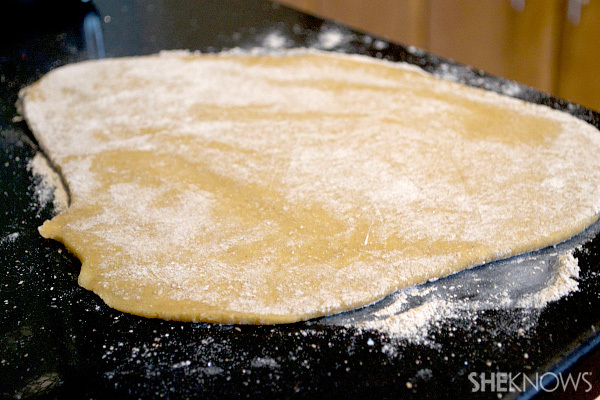 Move the dough to a floured surface and knead with floured hands until soft and smooth. Wrap the dough in plastic wrap and leave at room temperature for about an hour. Once it’s sat, roll the dough out with a floured rolling pin to about 20 inches long. 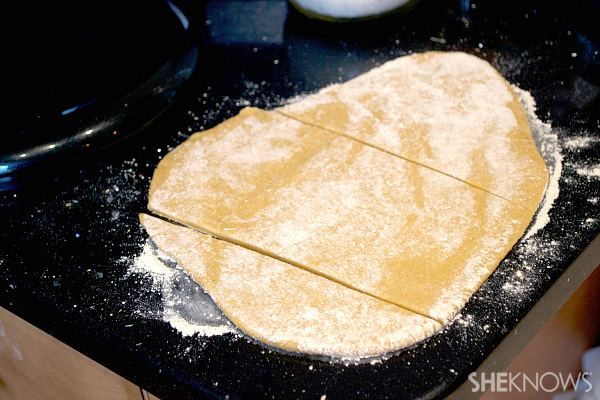 With a sharp knife, cut the dough into about 6 strips (this will make it much easier to put through the pasta attachment). 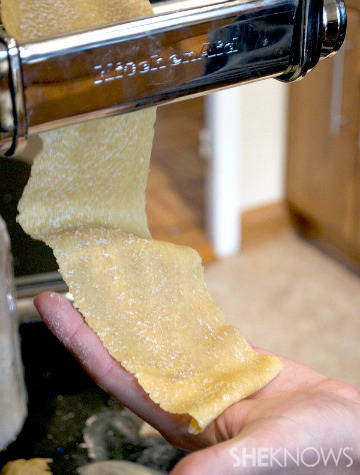 Roll each strip out a bit and then push through the first KitchenAid pasta attachment. You want to set it to 2-3 first and then gradually make it to 6. You’ll want to push the pasta through at each number interval to ensure it thins out properly and will go through the spaghetti attachment with ease. 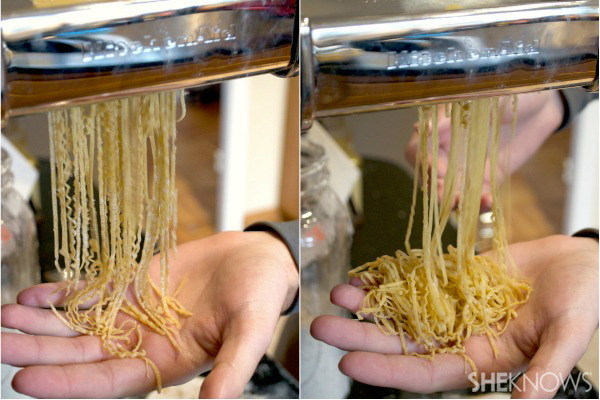 Once the pasta has been rolled out significantly, push through the spaghetti attachment. Repeat until all of your pasta has been run through. 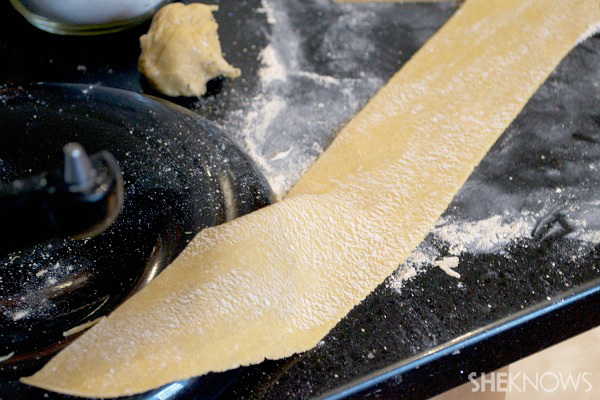 You can either let the pasta dry or cook immediately. 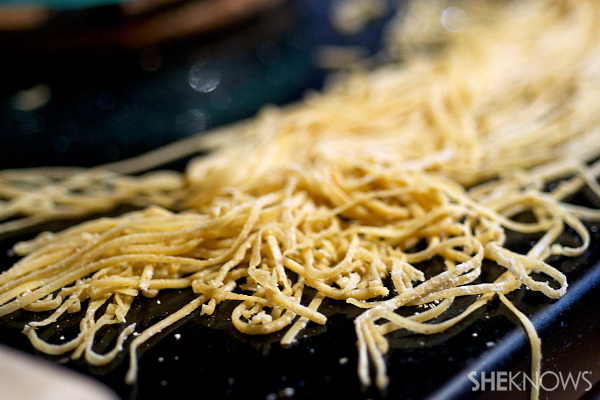 Cook the pasta in a pot of boiling water for at least 5 minutes or until it floats to the top. 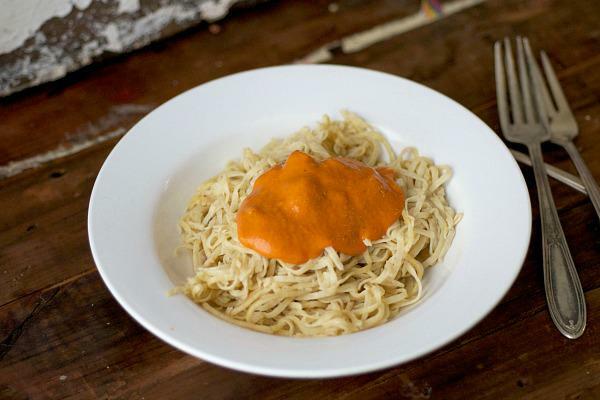 Rinse and garnish with your favorite sauces.